CHECK OUT OUR EXTENDED GAMEPLAY TRAILER! SUBSCRIBE TO UPDATES FROM US TO GET FREE JUNK AND EXCLUSIVE NEWS! © 2018 Jago Studios. © and ℠ The Topps Company, Inc. All Rights Reserved. 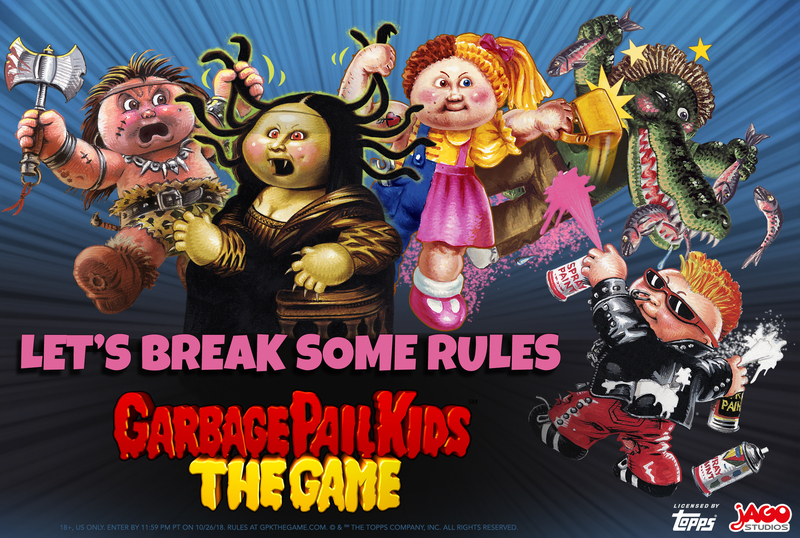 Garbage Pail Kids and GPK are registered trademarks of The Topps Company, Inc. and are Officially Licensed by The Topps Company, Inc.